Its Cocktail Friday here at The Specialist Works US and we are celebrating with some SweetWater 420s in light of this years SweetWater 420 Fest currently taking place in downtown Atlanta. The SweetWater 420 fest is an annual event thrown by the SweetWater Brewing Company in Atlanta, Georgia. The festival is always held on a weekend closet to Earth Day. The festival has taken place in Centennial Olympic Park since 2014. 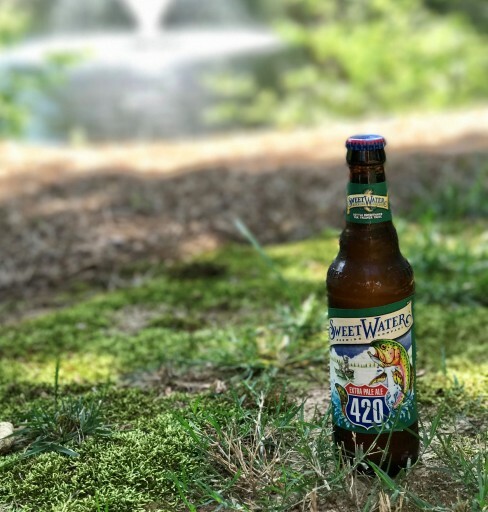 The SweetWater 420 Fest originated in Oakhurst, Georgia in 2005 as a way for SweetWater to combine all of the elements it was most passionate about in one location. It brought together music, beer, and environment. Guests can drink SweetWater beer while watching headlining musical talents. Little Five Points Candler Park became the festivals new home two years later until 2013. Environmental awareness continues to be a huge part of the festival, which also includes musicians, local artists, and vendors. The SweetWater 420 Fest uses a variety of print, television, and social media to promote and advertise. It is important in advertising and marketing to understand your target audience and be able to locate them through different media. Locating the perfect fit for advertising is exactly what we do here at The Specialist Works US! SweetWater understands their main audience can be located through these sort of media and their use of them relates directly to their awareness and attendance. Its Cocktail Friday here at The Specialist Works US and we are celebrating all together with a Going Away Celebration involving wine for our intern, Yldamarie! She will be graduating in May from Georgia State University with a degree in Journalism. After, she will be studying abroad in Ecuador practicing Nonprofit Public Relations. We are wishing her bon voyage on this new journey. When it comes to new experiences, companies can also partake in change. Rebranding is a marketing strategy where an established company or organization changes their appearance with a new name, term, symbol, or a combination of the options. They do so with the intention of developing a new and different identity among the minds of consumers, investors, competitors, and other stakeholders. Normally, radical changes to a brands logo, name, image, marketing strategy, and advertising themes occur. A successful example of rebranding would be Apple. It is said that Apple has possibly one of the best rebranding stories of our era. In the early 1990s, Apple was suffering from low sales, low consumer interest, and competition was taking consumers away. These were issues until Steve Jobs took over the company in 1997. Jobs presented an image of minimalism and modernity. He did this with new innovative products and a series of advertising and marketing campaigns that focused on experiences as opposed to purchases. Through this, they were able to attract a new, diverse customer base. A little change and introspection can be healthy and exciting. Whether its the thrill of traveling to a new country or the excitement of reinventing your brand, new experiences are valuable exercises in learning and growth. Its Cocktail Friday here at The Specialist Works US and in honor of the 2017 Masters Golf Tournament, we are celebrating with some delicious John Daly cocktails. A John Daly consists of lemonade, iced tea, and vodka. It is named after the American golfer John Daly. The drink is an alcoholic version of the Arnold Palmer, which is named after an American golfer, as well. The cocktail was originally made popular at the Whiskey Creek Golf Course in Fort Myers, Florida during the 2005 Dirty Gator Open by bartender, Ian Forret. The Masters Tournament is also known as The Masters or The US Masters. It is one of the four major championships in professional golf. The Masters is normally scheduled for the first full week in April and is the first of the majors to be played each year. The Masters is held each year in the same location at the Augusta National Golf Club which is a private golf club in Augusta, Georgia. The tournament prides itself on being, a tradition unlike any other. Beginning in 1956 the tournaments host, Augusta National, secured a series of one-year TV deals with CBS. Sponsorship is important when it comes to the tournament. The terms of each sponsor agreement arent disclosed however, sponsorship analyst IEG has calculated the total annual global contribution to be near $18 million. Some well-known sponsors include: AT&T, UPS, Mercedes-Benz, and Rolex. Its Cocktail Friday here at The Specialist Works US and we are celebrating with some tasty Gin and Tonics! The cocktail was first introduced by the army of the British East India Company where malaria was a prominent issue. In the 1700s, Scottish doctor, George Cleghorn, discovered that quinine could be used to prevent and treat the disease. Quinine was served in tonic water, however the taste was bitter. In the early 19th century, British officers in India took to adding a mixture composed of water, sugar, lime, and gin to the quinine to give the drink a more pleasant taste. Thus, the Gin and Tonic was born! 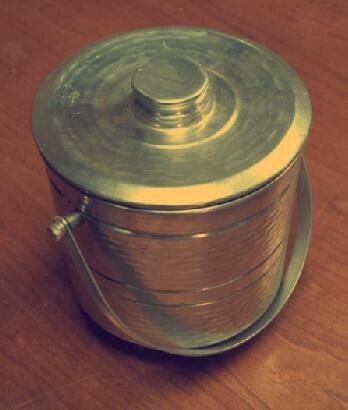 Today, since it is no longer used to treat and prevent malaria, it contains much less quinine and is usually sweetened. While it may have originated as a treatment, it is now consumed for pleasure and is a notable icon in todays pop culture. Some famous instances of Gin and Tonics in media include: James Bond specifies a recipe for a Gin and Tonic while in Kingston, Jamaica in the book Dr. No., Colonel Henderson complains when his Gin and Tonic is served with ice in the movie The Year of Living Dangerously, Ian Gillan mentions the cocktail in the song "Sleeping On The Job", Billy Joel mentions the cocktail in the song "Piano Man", Oasis also mentions the cocktail in their song "Supersonic", Nik Kershaw begins his song I Won't Let the Sun Go Down on Me" with mention of the cocktail, the character Barney Stinson played by Neil Patrick Harris on the hit sitcom How I Met Your Mother is often heard ordering a Gin and Tonic, and Gin and Tonic is one of John Constantine's drinks of choice in the Hellblazer comics. It is also the drink of choice for hero, Cat, in Jeaniene Frost's Night Huntress Series. Through these examples, it is easy to see Gin and Tonic is well-known throughout pop culture. This sort of awareness is what advertising and marketing aims to do. With this industry, the goal is to get the product to be well-known to its directed audience. Whether it is a Gin and Tonic or any other product, skilled professionals will learn their products targeted audience and which media to use to successfully get their message out. Want to try a Gin and Tonic for yourself? Grab a glass, fill it with ice cubes, add gin and tonic as desired, and top off with a lime wedge! Enjoy! 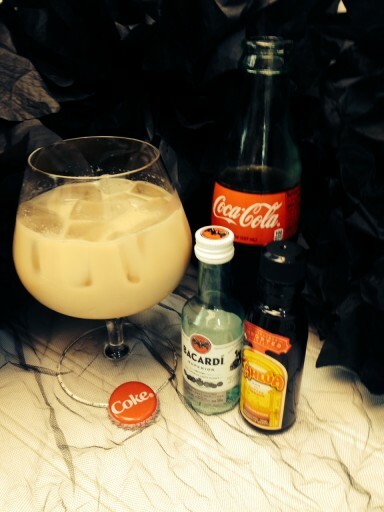 Its Cocktail Friday here at The Specialist Works US and we are celebrating with some White Russians! Interestingly, the White Russian did not receive its name based off its country of origin, but rather for the type of vodka used in its recipe. In the 1930s, vodka was not well known in the US so people began associating all vodka as Russian, hence the use of the term in the drink. 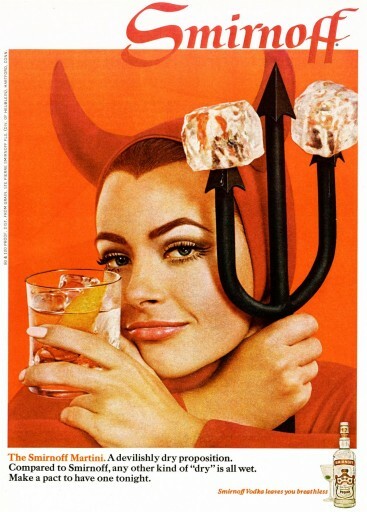 Large vodka marketing campaigns did not reach the states until the 1950s. The White Russian did not get its current recipe of cream, vodka, and Kahlua until the 1960s. Today the White Russian has inspired a drinking game popular among college students who try to keep up with The Dude while watching The Big Lebowski. The Big Lebowski is a 1998 American crime comedy film written, produced, and directed by Joel and Ethan Coen. White Russians make a prominent appearance in the film as the movies main character, The Dude, drinks a steady stream of them throughout. Implementing the cocktail in the film is a perfect example of product placement. Product placement is a technique commonly used by advertisers to subtly place brands and products in popular media and entertainment to promote interest. 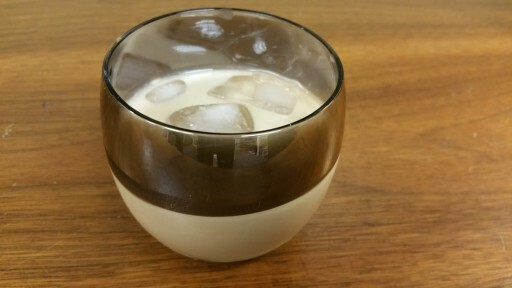 The White Russians popularity was revitalized due to its placement in the film. Want to try and beat The Dude yourself? 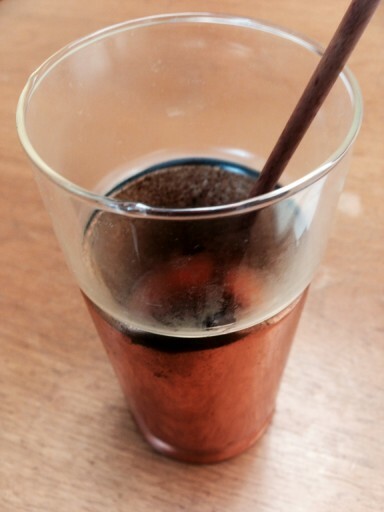 Preparation: Pour coffee liqueur and vodka into an Old Fashioned glass filled with ice. Float fresh cream on top and stir slowly. Its Cocktail Friday here at The Specialist Works US and we are keeping it classy with some delicious dirty martinis! The martini is a cocktail made with gin and vermouth, and garnished with an olive or a lemon twist. However, this cocktail is more than just any alcoholic beverage. Through the years, the martini has become one of the best-known mixed alcoholic beverages. 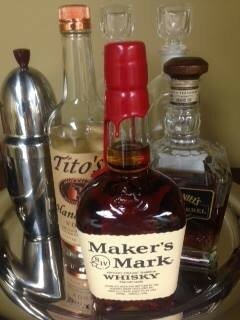 H. L. Mencken called it "the only American invention as perfect as the sonnet" and its "the elixir of quietude" for E. B. White. The monumental drink was created in 1863 by an Italian vermouth maker who started marketing their product under the brand name of Martini, after its director Alessandro Martini. Since then, the martini has become a classic within the advertising world and society. 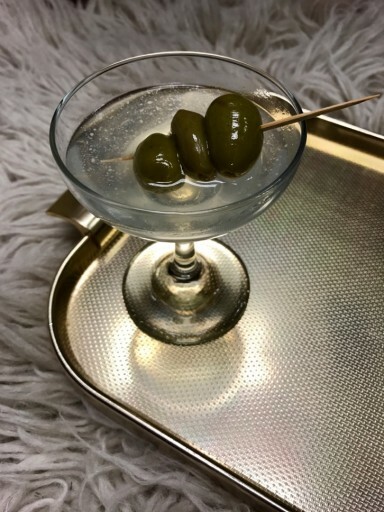 The martini is known for its signature V-shaped glass and has earned itself a top spot in todays pop culture with its iconic status. The cocktail now comes in many different styles and variations. Whether its Carrie Bradshaw sipping on her signature Cosmopolitan martini or James Bond drinking his Vesper martini saying the historic phrase, "Shaken. 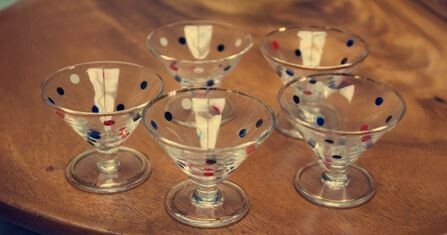 Not stirred," the world recognizes the never-changing martini look. That is what great advertising and marketing produces; an image that becomes recognizable to the audiences. 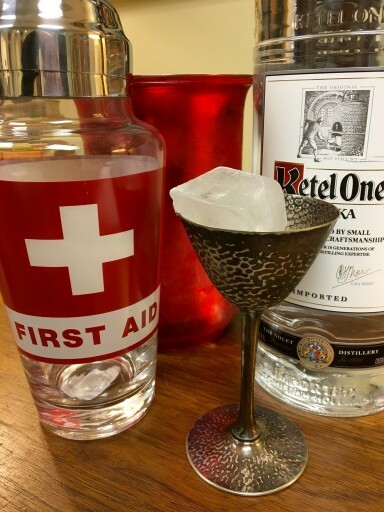 Want to prepare your own iconic cocktail? Preparation: Add all the ingredients to a mixing glass filled with ice. Stir, and strain into a chilled cocktail glass. Garnish with olives. Its Cocktail Friday here at The Specialist Works US and while Mardi Gras might have occurred earlier this week, we are continuing the celebration with some Carnival Punch. It is no wonder the recipe for Carnival Punch earns itself a top position on many different Mardi Gras Cocktail lists. With its vibrant color and tropical taste, it falls high on our list of cocktails as well. The Carnival Punch cocktail markets itself in relation to Mardi Gras. This is a great example of how the advertising world works! One concept can certainly tie back to another. Celebrations and drinks can go hand-in-hand, as can companies and advertising. 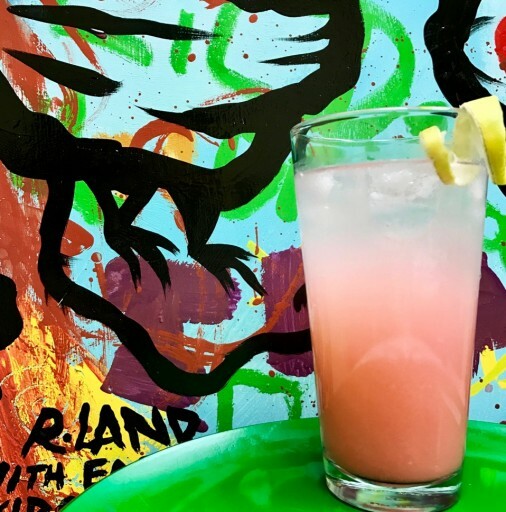 While its just as important to value vibrant colors and unique flavors in a drink, its equally important to use vibrant aspects in an ad as well. Want to make this cocktail for a Mardi Gras celebration, a fun afternoon with your coworkers, or just for a party of one? Preparation: Fill a cocktail shaker with ice then add the vodka, PAMA Pomegranate Liqueur, and lemon juice and shake well. 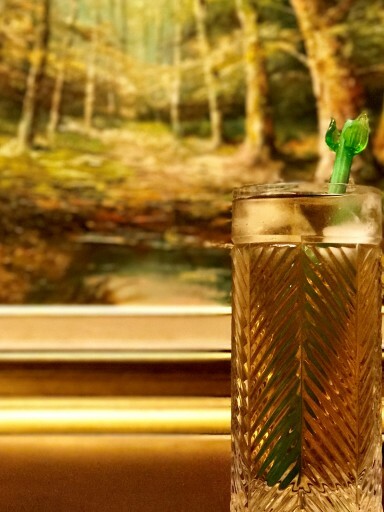 Strain over ice into a rocks glass, top with the ginger beer and garnish with the lime twist. Its Cocktail Friday here at The Specialist Works US and we are celebrating with margaritas! National Margarita Day 2017 took place on the 22nd, but we are keeping up the holidays spirit by continuing on through the week. National Margarita Day was founded by Todd McCalla to spread his love for margaritas around the world. The classic margarita was invented during the 1930s or 1940s in Mexico. There are many different theories of when and how exactly the recipe was created, but no matter the case we are thankful it came to be! 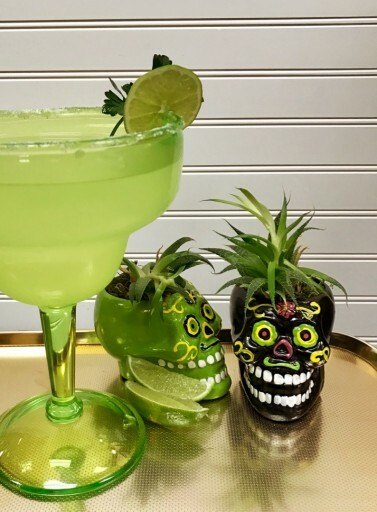 Frozen margaritas were later invented in the 1970s in Dallas when a bartender converted a soft serve ice cream unit into a frozen margarita machine. Whether you prefer a classic margarita on the rocks, straight up, or frozen, its the most common tequila-based cocktail in the United States today. The day is meant for friendships and fun. Its Friday! Grab your co-workers and enjoy a nice cold margarita over delightful conversation to kick-start the weekend. Want to make your own to celebrate? Preparation: Rub the rim of the glass with the lime slice to make the salt stick to it. The salt should stay on the rim and never mix into the cocktail. Shake the other ingredients with ice, then carefully pour into the glass. 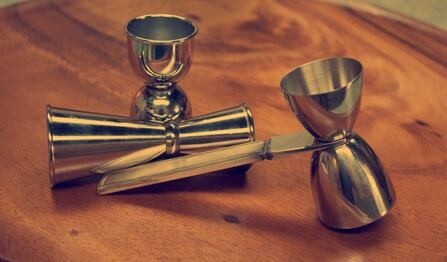 Its Cocktail Friday here at The Specialist Works US and we would like to acknowledge how to get Back to Basics with some Old Fashioned Cocktails. The first documented use of the word cocktail was in 1806. 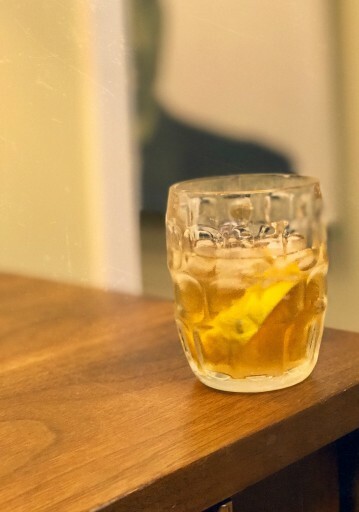 The first use of the name "Old Fashioned" for a Bourbon whiskey cocktail was at the Pendennis Club, a gentlemen's club founded in 1881 in Louisville, Kentucky. 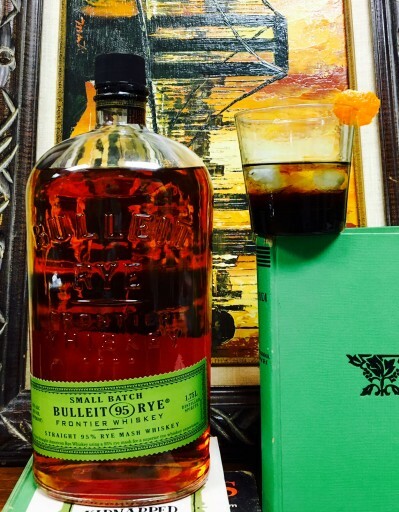 It is said the recipe was invented by a bartender at the club in honor of Colonel James E. Pepper, a prominent bourbon distiller. Just as it is acceptable to enjoy an Old Fashioned Cocktail, it is also acceptable to stick to some old fashioned and consistent forms of advertising and marketing. While we are in a new age and technology is constantly evolving all around us, there are some characteristics and approaches that have traditionally had a steady success rate. A few tips are to understand how to help consumers, find an emotional connection with them, and to make sure your message is coming across consistently. Old fashioned or new, studying your audience and clarifying your message will always be in style. If you would like to keep it Old Fashioned as well, here is the recipe and preparation! Preparation: Place sugar cube in old fashioned glass and saturate with bitters, add a dash of plain water. Muddle until dissolved. 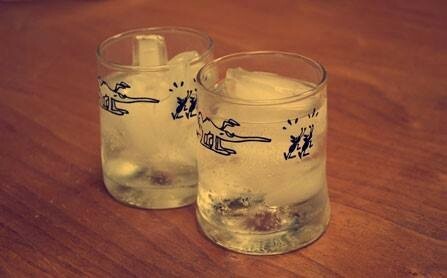 Fill the glass with ice cubes and add whiskey. Garnish with orange twist, and a cocktail cherry. Its finally Cocktail Friday and we are celebrating with Martinis from Smirnoff. This year Halloween falls on a Monday, talk about scary! On the bright side, its the perfect excuse to show up to work in my pajamas! I like to think about how many of the phone calls we will get on Monday will be from people who are also diverging from their typical work wear. We will be wearing the most ridiculous outfits and having serious conversations, all the while being completely unaware of each others holiday attire. However, you choose to celebrate this year, have fun and be safe. From everyone at The Specialist Works, we wish you a Happy Halloween. Its Octoberfest Weekend here at The Specialist Works, so our Cocktail Friday is an obvious choice. 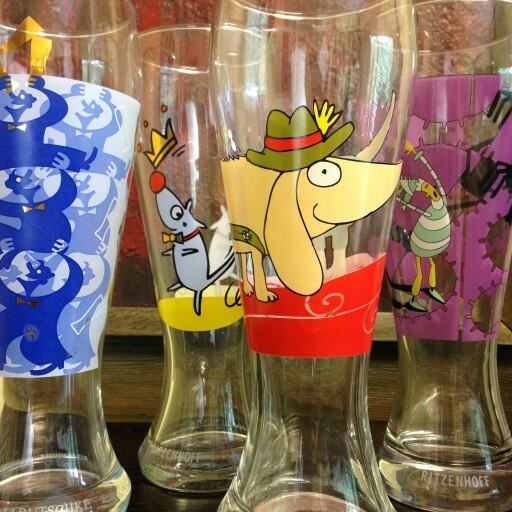 Ritzenhoff Beer Glasses! Traditions run stong around this widespread German holiday, and the use of our Rizenhoffs is no exception. 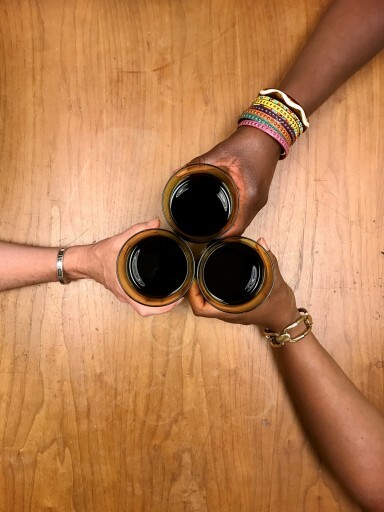 These fantastical artist-designed glasses are brought out each year to help us celebrate our heritage, but with a modern twist. 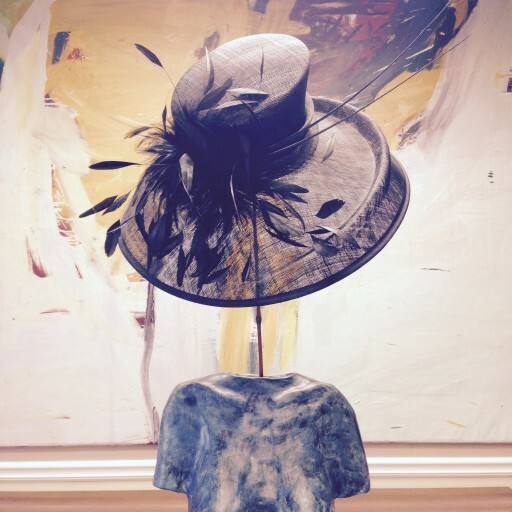 Each piece is vividly decorated with a design from a different artist. Left to right we see Thomas Marutschke, Julien Chung, Sandra Kretzmann and Mark Oliver. Now we just have to wait until closing to see how it looks holding a nice rich lager. an>It is Cocktail Friday at The Specialist Works US and it is also National Hug your Boss Day. Talk about an interesting mix. Many studies have shown that having a good, positive leader can make all the difference in a working environment. Statistics tell us, that the majority of people leave a job more frequently due to not getting along with their employer; and that people working for a boss they enjoy tend to be happier, more productive and loyal, compared to people who work for higher pay with a boss they do not like. Cultivating a constructive and progressive work environment is no effortless feat either. There is so much that we need to manage, organize, and maintain in order; all at once. In business especially, our work day is often times nowhere near finished when we leave the office and head home. It is a job that takes copious amounts of patience, leadership skills, motivation, and just plain heart. So make sure to show your boss some well-earned appreciation, if not with a hug then at least with a cocktail, TSWUS style. Please remember to drink responsibly and hug your boss responsibly. "Lager beer kegs... mounted in every conceivable place." A quote from a description of the first Labor Day post-parade party. The Central Labor Union, the Jewelers Union of Newark Two and 20,000+ friends and family helped celebrate the strength and contribution of the American worker that first Labor Day. While we arent marching in a parade this morning, we laborers will celebrate, and beer will be part of that celebration. 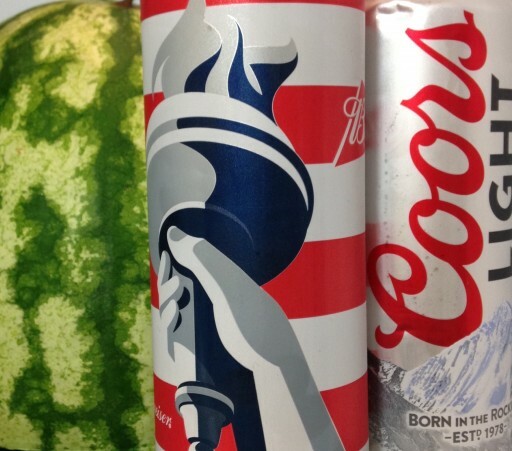 The two tall boys in our fridge are total Americana. Coors Light, to honor our vacationing leader, and Budweiser, the King of Beers, There is something undefinable that connects the American worker with a tall cold one at the end of a hard day. Even if the work is fairly easy, and we are shutting down at lunch for the long weekend. Have fun, be safe, Happy Labor Day. It is Cocktail Friday at the Specialist Works US and today we are sipping sake. Or shooting it, whatever your preference. We're enjoying this delicious Japanese rice wine with our box of freshly delivered Japanese snacks. 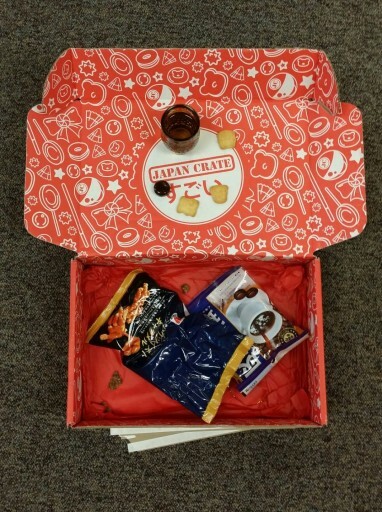 Every month we receive a box from Japan Crate packed with interesting and tasty candies, and we're always pleasantly surprised by what we find. This month featured sweet animal crackers, coffee-flavored hard candy, and caramel covered pretzels. Japan Crate is just one of many startups using the power of the internet to make things easier for consumers, and profitable for venture capitalists. Subscription services like Harry's, Hello Fresh, and Graze are some of our favorites! With out having to maintain a brick-and-mortar store, and with much of the process being automated, subscription services enjoy substantially lower overhead than traditional companies. The services integrates themselves into consumers lifestyles, resulting in consistent and habitual purchases. With many of these brands, the time saved is the most important aspect of the process, whether it's search time, cooking time or consumption time. Millennial consumers especially, in search of a better work-life balance, value the flexibility and will happily trade time spent cooking for time spent living. Definitely an idea we subscribe to! August 5th is International Beer Day. It is also Cocktail Friday at The Specialist Works and today we are toasting with a Stella. Craft brewing in the United States has been growing at a swift pace, enjoying a 12.8% increase in sales last year. The popularity of craft beer is even more apparent when we look at market share by dollar value, where every fifth dollar spent on brew is now craft. 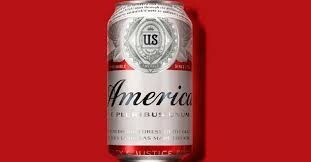 The microbrew market in the US is indicative of the values this country at its best. Never fearful of experimentation, always innovating, and forever optimistic. Flavors stack upon each other, constantly jostling and searching for that secret ingredient to find the right balance between hop and flop. So today, try a beer you've never had before. Live a little. And maybe you'll learn a lot. Cheers! It is Cocktail Friday at The Specialist Works US and today we would like to celebrate local success. 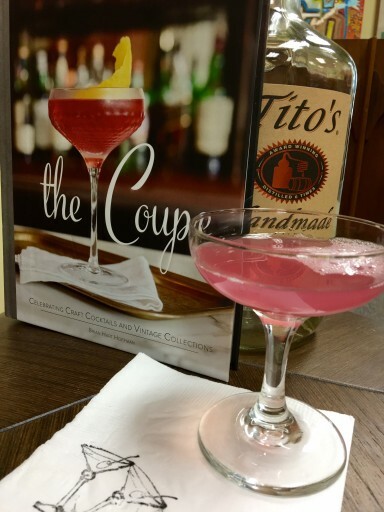 Brian Hart Hoffman, chief creative officer at our media partner Hoffman Media, recently had his cocktail recipe book The Coupe featured in the Atlanta Journal-Constitution. We were very glad to see our client, Expressionery, have their custom stamp design featured with the outbound press kit. In a cocktail shaker filled with ice, add watermelon juice, Campari, and lime juice. 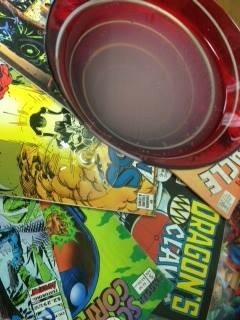 Shake to combine, and strain into a coupe glass. Top with sparkling water, and garnish if desired. It is Cocktail Friday at The Specialist Works US and today we are brainstorming on bouncebacks. 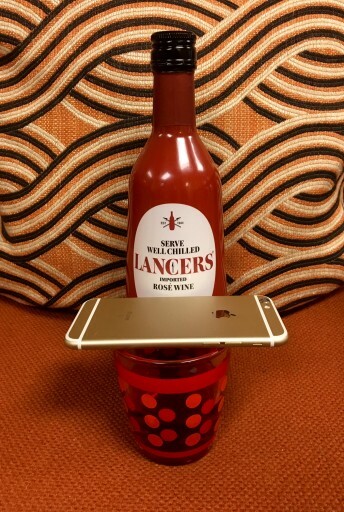 Lancers Rosé was incredibly trendy in the 1970s, in part due to its unique shape, which allowed drinkers to plant a candle inside and incorporate the empty bottles into their homes. The wine has since fallen out of favor, but it's gotten us thinking: how can we reposition the brand to revitalize sales in the digital age? Millennial women are the fastest growing drinkers of wine, comprising 23% of the total US market. One way to reach this audience may be to readapt the bottle into consumers’ lifestyles. Candles have been replaced my smartphones and many digital natives crave authentic interaction with brands. To keep up with a younger market and reclaim its 15 minutes of fame, brands like Lancers will need rethink the role they play in American life. It’s Cocktail Friday at The Specialist Works and today we’re reflecting on our roots. In the new and exciting age of data, traditional and old fashioned methods matter more than ever. Whether it’s knowing your customer, or finding the sweet spot between over and underexposure, precision is key in running an effective campaign. The best cocktail is when the sharp taste of the liquor dances smoothly with the sweetness of the syrup and the light flavor of the fruit. A marketing mix is most efficient when your placements complement each other, first attaining awareness, then interest, then intent. Interacting with customers across multiple touchpoints creates a halo effect and the brand as a whole is seen in a better light. Even the best cocktail is left untouched if the drinker is kept in the dark. Cheers! Here at The Specialist Works US we take our safety seriously. As the weekend approaches we are happy to unwind with a nice cocktail. We are sure to unwind safely. So raise a glass to warm nights and cold drinks and enjoy your weekend! Don\'t forget: ADVERTISE RESPONSIBLY. The internet was flooded today with hockey masks as worn by Jason, the main character from the Friday the 13th movies. I bring you a much less frightening, but incredibly beautiful mask in its place. Leaving lunch, i found this amazing doodle on a neighboring table. 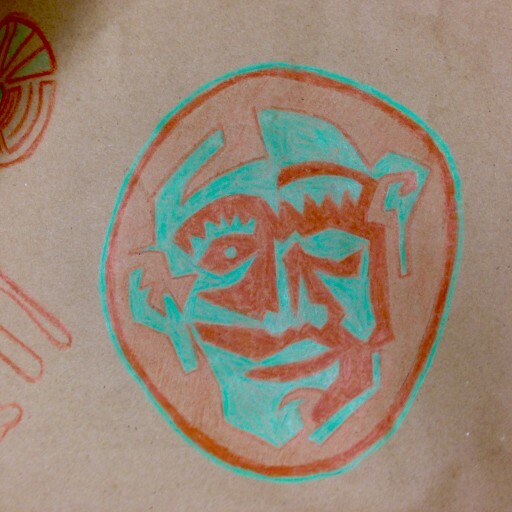 Brown paper and crayons make any lunch better, especially a cocktail-free one. It is Cocktail Friday at Elarbee Media, and long PAST due for a fresh look at the Lone Star Beer bottle gap quiz. 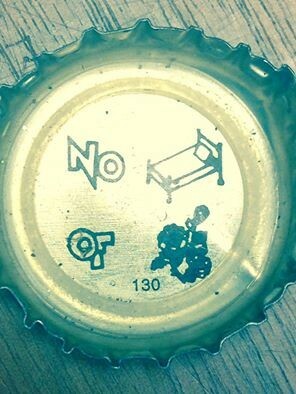 This week's installment is bottle cap #135, and frankly one of the easier caps to translate.With each installment, we try to tie in the bottle cap quiz with some real advertising insight. And here it is..... Not only do we highlight the Lone Star Beer bottle caps, we collect them.Collections, and numbered editions are a GREAT marketing concept. If there are 500 quizzes, I need to keep all of my bottle caps until I get them all.This encourages two things - 1. Retention of the brand image where it continues to receive exposure, and 2. incremental purchasing until the collection is completed!Brilliant! It is Cocktail Friday at Elarbee Media, and today we pay homage to a very little used but beautiful item in our collection. 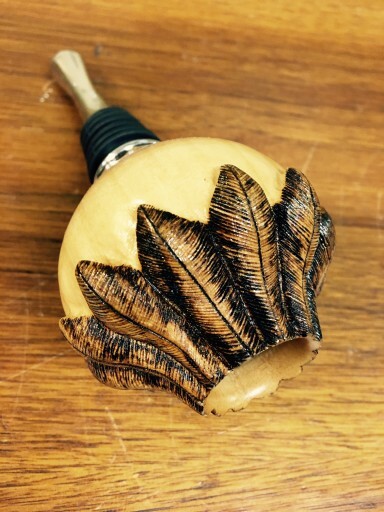 This hand carved wooden wine stopper gets a lot of attention as an object of Art sitting on my desk at the office, but little practical use as a wine stopper. Once Cocktail Friday is in full swing, there is little reason to suppose there will be leftovers. As an object of Art in the office it is a gorgeous example of fine hand carving. The tactile nature of the execution makes it almost impossible not to hold the wood and run your fingers across the scoring. Because so much of what we do in our business is fleeting and flat in its execution, we crave the interaction of touching objects. If we feel that as people, we feel it as consumers also. Engaging consumers with a physical and tactile interaction with your product creates a bond…and perhaps a sale. It is Cocktail Friday at Elarbee Media and today we are reflecting on a month of having Jess from our UK partner the Specialist Works in our offices. Jess went home earlier this week, and we already miss her. Much like the image of bottle caps in a tray that we chose to pair with this posting, having someone from outside in the office for an extended time feels very different. Like a cider cap in a tray of beer caps often times is it very different, and foreign. Working across cultures has its own unique challenges. With the help of our capable “translator” Jess Barrows, we know we will be fine. We are fortunate to have had such an enthusiastic and supportive liaison, and we can’t wait to move forward with greater understanding and facilitated communications with her help. Cheers Jess! It is Cocktail Friday at Elarbee Media and today we broke out these adorable Champagne saucers. They are tiny at only 3 inches high, but very old-school in their look and feel. Why are be breaking out the Champagne saucers you ask? Because we have had a very productive week, and it is time to celebrate. Cheers to all of you! It is Cocktail Friday at Elarbee Media and we are putting in a few more hours before indulging ourselves but we wanted to share a new recipe. On a recent client visit to New Braunfels, TX to see our PR client Expressionery, we reviewed their interview with Coastal Living Magazine for Steele of the Week. 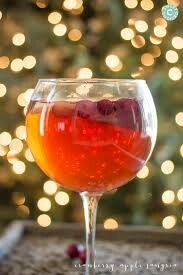 Expressionery stated in the edit copy that their favorite holiday drink was Holiday Sangria. Since we have never had it, we decided that the oversight needed to be addressed. Here is the recipe. Soak the apples and cranberries overnight in brandy. Throw it all in one big cocktail pitcher, pour and drink. We will be using Bordeaux instead of Pinot Noir because it is what we do. It is Cocktail Friday at Elarbee Media. 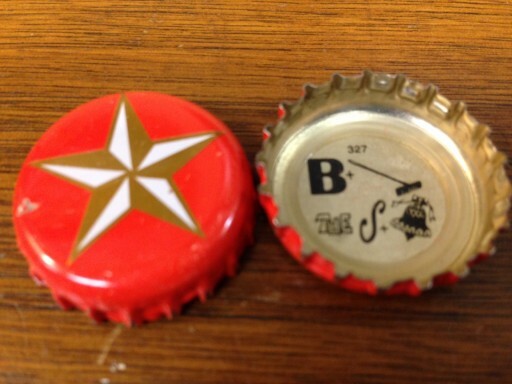 As part of our continuing series on Lone Star Bottle Caps, we are offering up # 157. It is a red cap, which we all by now know designates it as a regular not a light beer. Color coded product labels and conversation starters. We like it. Cheers Texas! It is Cocktail Friday at Elarbee Media. To combat the incoming cold weather, and keep your throat and palate happy, we thought we would share our favorite Hot Toddy recipe. This one is served in a cork lined copper bottomed glass to keep the heat in. Often we find that we don't have a cinnamon stick, a fresh lemon or honey. 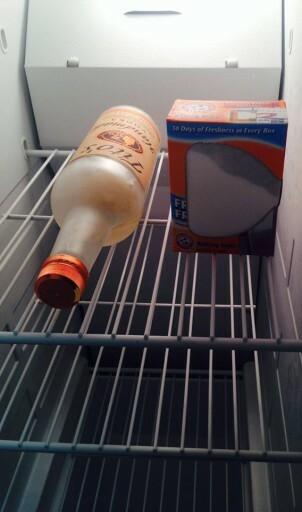 And we don't bother to heat the bourbon. It still makes us feel warm on a cold day. Cheers! It is Cocktail Friday at Elarbee Media, and it is also the Friday before Halloween, one of our favorite holidays. 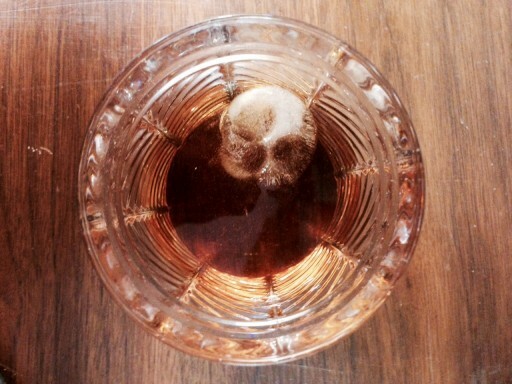 In honor of the upcoming festivities, we froze some Skull and Crossbones ice-cubes to celebrate. Can you see how nicely the eye-sockets set off the amber tones of the Bourbon? Sublime. Wishing you and yours a very happy and safe Halloween! It is Cocktail Friday at Elarbee Media, and we are feeling international after so much coverage of the Canadian Elections this past week. We are also very excited to announce our speaking engagement at McGill University in Montreal this coming February. More details to follow closer to the event date. It is Cocktail Friday at Elarbee Media, and we are closing shop early today to go our annual Pig Picken'. 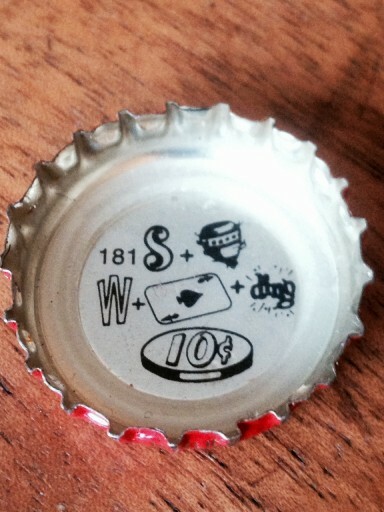 But we wanted to leave you with a brain teaser from Lone Start Beer before we left. Here is # 213. It is Cocktail Friday at Elarbee Media and today we are talking abut the meaning of shapes. How is that a cocktail topic? 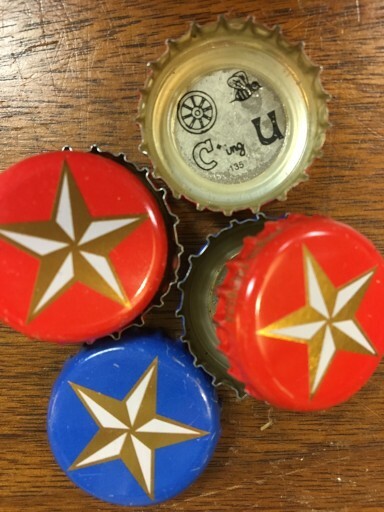 Well - we love our Lone Star Beer bottle caps which feature a single star so we thought we would investigate what the shape means (outside of Texas). Visual cues are important in advertising, and making sure you get it right is important. "Drawing stars shows you are optimistic and ambitious" according to doodlemeanings. Not a deeply scientific review, but it is Cocktail Friday here at Elarbee Media. In Texas "Today most people associate the Lone Star with a feisty spirit of independence" according to Phyllis McKenzie. So our summation is this: If you are drinking a Lone Star Beer outside of Texas you are optimistic and ambitious, and have adopted the Texan's feisty spirit of independence. None of this is bad from a brand perspective. Good job Lone Star! 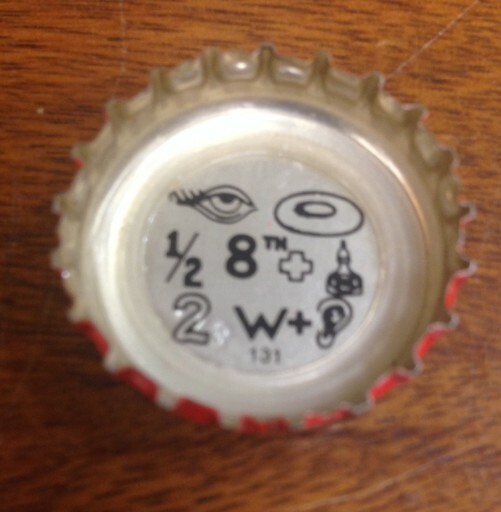 It is Cocktail Friday at Elarbee Media and we are posting Lone Star Beer's bottle cap brain teaser #181. Why? Because we drink a lot of Lone Star, and we have a lot of bottle caps to go through. 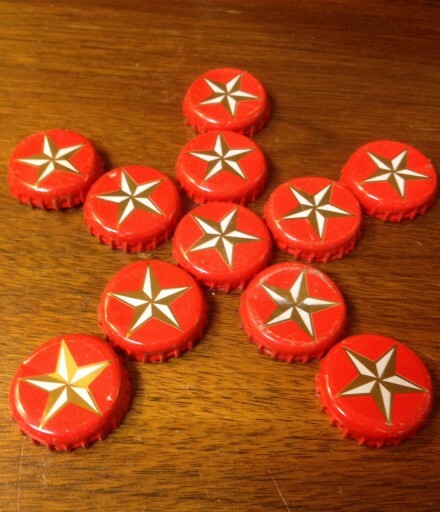 Seriously though, we love the Lone Star bottle caps because they create engagement. Pictures get posted and tagged by the faithful, and are even sold as Art on Etsy. 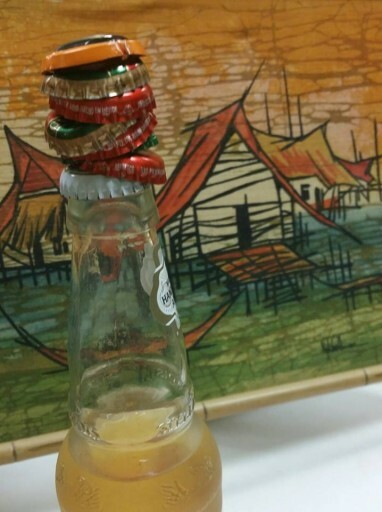 When pictures of the inside of your beer brand's bottle caps are considered "Art", you have built a successful grassroots campaign. Cheers Lone Star! It is Cocktail Friday again at Elarbee Media. Travelling for business this week, we were fortunate to spend the evening in Birmingham. Alabama where we were served our craft cocktails in these adorable vintage glasses. The cocktails were frankly “not good”; but, trying new things and keeping an open mind is always important. While business travel is rarely a glamorous adventure, it is always an opportunity to learn. We had a great time this week in neighboring Alabama. Cheers Birmngham! It is Cocktail Friday at Elarbee Media. 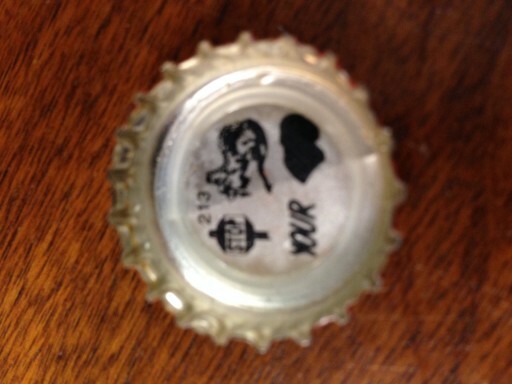 We are back with more Lone Star Beer bottle cap quiz images. This is #124 if you need to go to LoneStarBeer.com to get the translation. Once again, a brilliant campaign to build engagement. 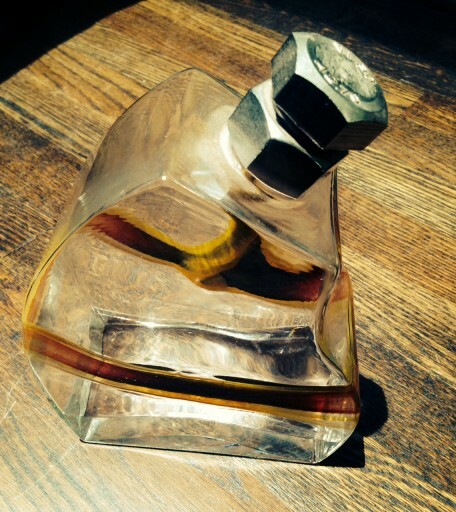 It is Cocktail Friday at Elarbee Media and we are so happy to share one of our favorite decanters with you. 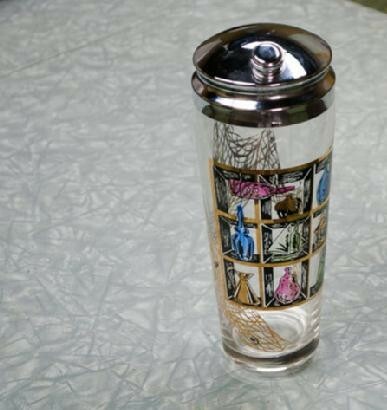 This Kosta Boda decanter is a great example of Whimsy. The form, while completely functional, is also a piece of art in itself. The bolt as the closure make the entire piece so much different than a full glass execution. Adding the industrial feel to the closure alone changes the style entirely. Small enhancements make a big difference. In advertising, small changes to an ad can make a big difference too. Before you make overhauling changes, stop and test to see if you have gone far enough before you go too far. It is Cocktail Friday at Elarbee Media, and since we have a large cache of Lone Star Bottle Cap, we are lazily going through these for Friday posts. 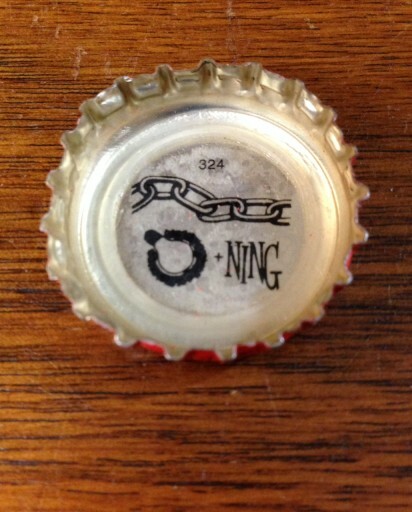 This week's bottle cap is number 327 if you need to look it up onLonsestar.com, but it is pretty easy so we think you will get it. Once again, we are showing a RED bottle cap which means....Regular Beer. 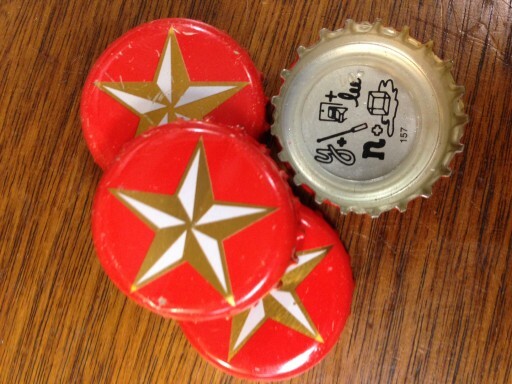 It is Cocktail Friday at Elarbee Media and we are back with more Lone Star Beer bottle caps. This featured quiz is from a BLUE cap. If you are following the conversation from last week, that means it is from a light beer. Red=Regular. Blue=Light. Color coding to simplify the buying process is good marketing! 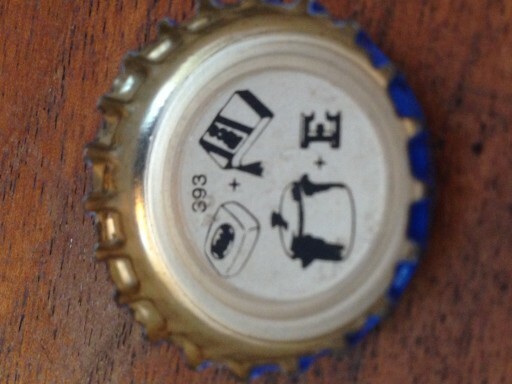 This is #393 if you get stumped and need to go to Lonestarbeer.com to get the answer. It is Cocktail Friday at Elarbee Media and we are back with more Lone Star Beer bottle caps. This featured quiz is from a red cap. For the uninitiated, it comes from a regular Lone Star not a Lone Star Light which is blue. Color coding within the brand makes it easy for consumers to identify product easily. It makes shelf selection more efficient in store as well. Lone Star Beer, like many other brands chooses to keep the look of the brand label consistent as much as possible. Outside of the color identifier, and a small edit to the label to swap the word Beer for Light, they maintain the integrity of presentation. 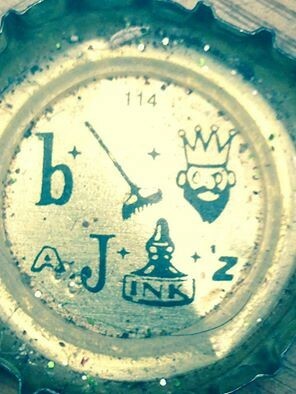 This is #131 if you get stumped and need to go to Lonestarbeer.com to get the answer. 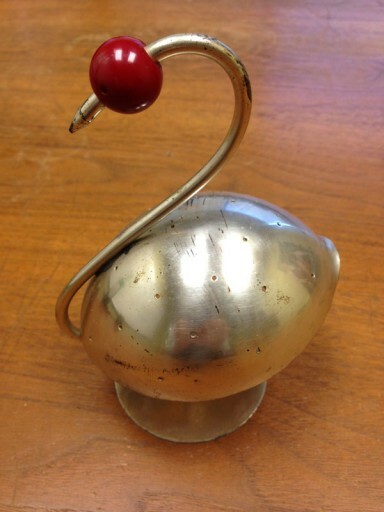 It is Cocktail Friday at Elarbee Media, and today we selected a toothpick swan from out vintage cocktail collection to show you. Part of the art of a throwing a good cocktail party is supplying your guests with a nosh to go with their drink. These vintage birds were used to hold cubed cheese, olives, cherries, and anything else you could stick on a toothpick. We think this beauty would look great with some blue cheese stuffed olives to go into our Saturday morning (medicinal) Bloody Mary's. It is Cocktail Friday at Elarbee Media and we are back with more Lone Star Beer bottle caps. 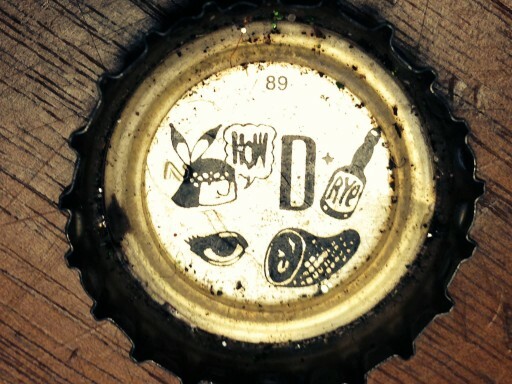 This is #324 if you get stumped and need to go to Lonestarbeer.com to find the answer. Once again, we want to highlight how much we enjoy the engagement element of this campaign. We encourage you to engage with US by sending us the answer if you can figure it out. 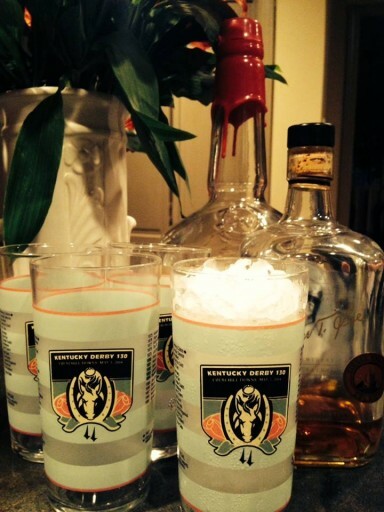 In a highball glass (preferably a Derby glass like the ones in our collection) gently muddle the mint, sugar and water. Fill the glass with cracked ice, add Bourbon and stir well until the glass is well frosted.We can't say enough about the importance of a quality Bourbon, or the firm pack of the crushed ice. The Mint Julep is guaranteed to either help you celebrate when your horse wins, or give you solace is it loses. Bottoms Up! It is Cocktail Friday at Elarbee Media. 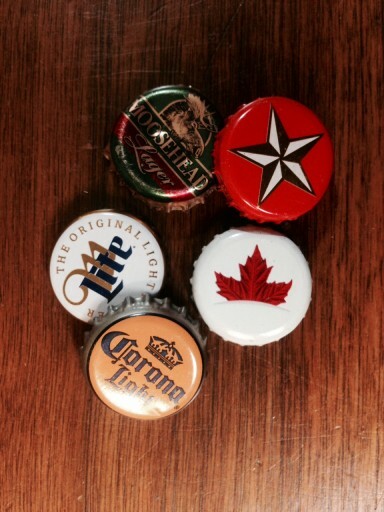 here is our latest installment of the Lone Star Bottle Cap campaign. 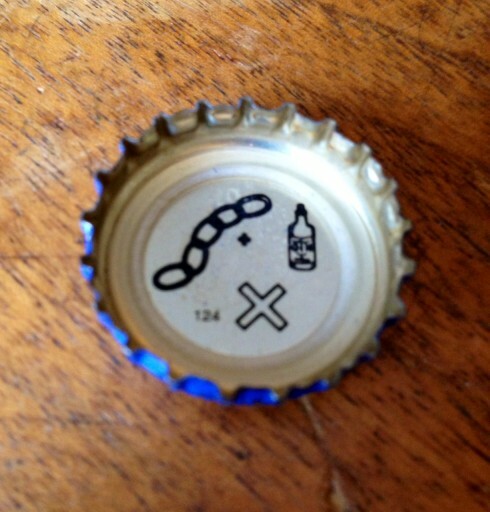 If you haven't been following the theme, Lone Star Beer puts brain teasers under their bottle caps. It drives conversations, and interaction with their website if you can't figure them out yourself. We think this is a brilliant marketing ploy, and we LOVE it. This is number 41 if you need to look it up on LoneStarBeer.com. If you have the answer, please post it back to us. They are back for Cocktail Friday at Elarbee Media! 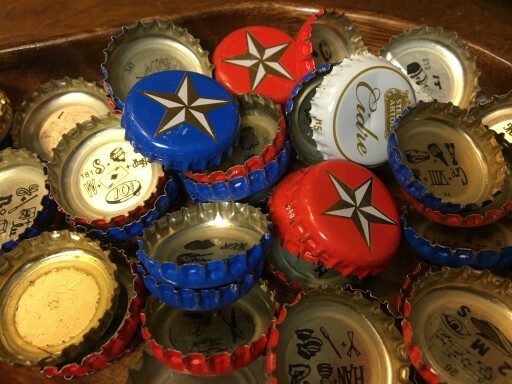 Lone Star Beer Bottle Caps! 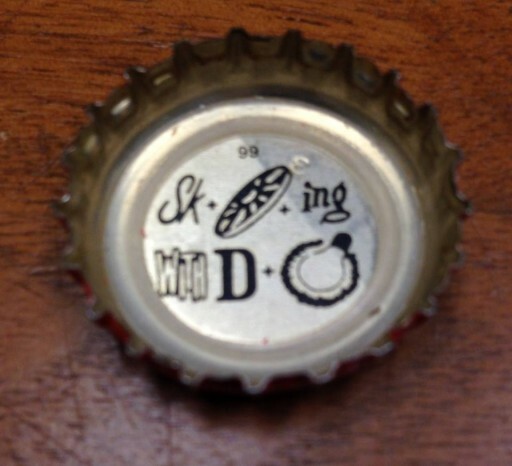 In what we still believe is a brilliant marketing play, despite the lack of free beer we have received for saying so, Lone Star developed visual games on the inside of their bottle caps.These messages get harder to decode as the evening wears on, but provide tons of fun and keep the brand "top of mind". 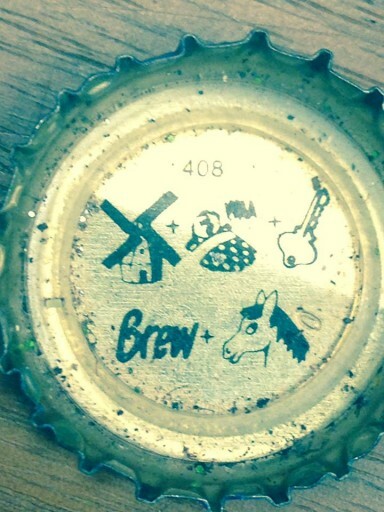 This is message 99 if you need to go to LoneStarBeer.com to decode it. Cheers! You know it is time to travel to see your Texas based clients when your supply of bottle caps runs out. 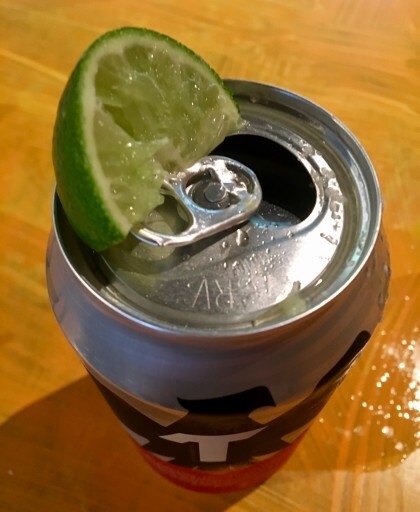 That is right folks - It is Cocktail Friday at Elarbee Media, and we have one last Lone Star Beer brain teaser to share.Still no free beer delivered, but we still dare to dream. It's Cocktail Friday at Elarbee Media! Today is all about vintage copper glasses. Hot or cold service? 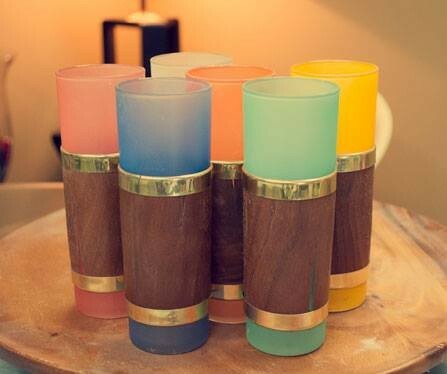 These copper sleeves are lined with cork, so you can serve a hot beverage like a "Toddy" or a cold one that won't sweat onto your wood furniture. So fun and functional. 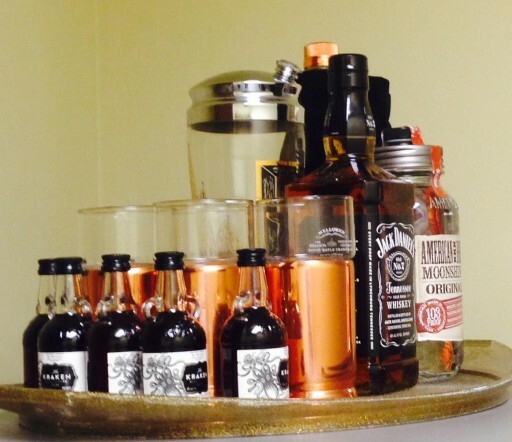 Copper is a hot trend in current brands as well, Check out the top on the bottle of Tito's, and the copper stripe in our "legit" moonshine. Just goes to show you that everything old is new again! Watch for Avocado Green and Harvest Gold coming your way soon! Have you been "hankerin" for another Lone Star Beer installment on the Cocktail Friday post at Elarbee Media?We are happy to deliver! Still waiting on our free case of beer for driving traffic and awareness, but we will let it slide despite the fact that we are very thirsty.Friends, clients and colleagues in Texas, send us your bottle caps, or we are coming to visit. 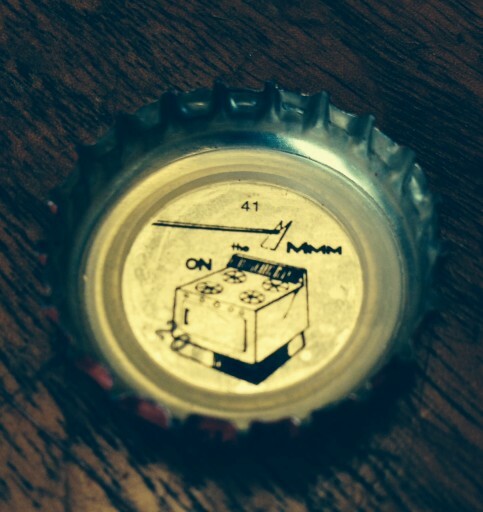 to get the answer based on the number code printed on the bottle cap.What does this have to do with Elarbee Media? Not much really, except that we think this is a brilliant engagement campaign, and we spend a lot of time in Texas drinking Lone Star. if you can't figure out the message.If someone from Lone Star Beer would like to reward me for driving traffic with some free beer that would be fine with me. "Just Sayin'". It is cocktail Friday at Elarbee Media and today I want to highlight a piece of sheer marketing brilliance!On a recent trip to New Braunfels, TX to meet with Expressionery.com, I was lucky enough to squeeze in some social time. For me, in Texas, that means drinking my old standby LONE STAR BEER (light these days). 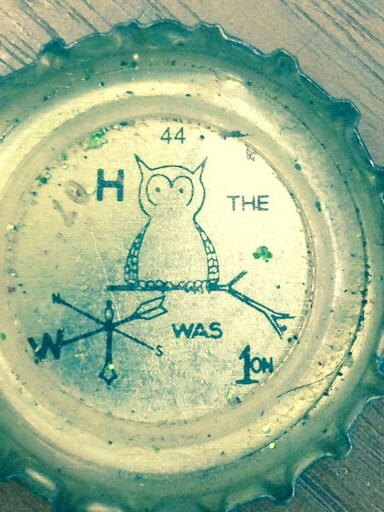 Here is the brilliant part: When you take the cap off the beer, on the inside there is a brain teaser.When you are in a group, you start focusing on the bottle cap, and talking about the beer and their marketing team - and who comes up with these? and on and on. Then, when you realize you can't figure one out, they have a numbered code you can use to look it up - where? Online! So they end up getting you to interact with the brand online and in social media. Brilliant. lonestarbeer.com for those of you that can't figure out the ones I have attached! It is Cocktail Friday at Elarbee Media and we are celebrating! 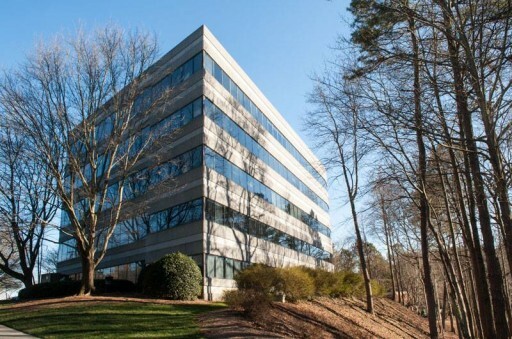 We are so happy to be finally settled in our new space! Stop by and we will pour you a drink! It's Cocktail Friday at Elarbee Media. This will be our last Cocktail Friday from our original offices. Things are getting very sparse here, and there is not much left to photograph except nail holes in the walls. It is always important to plan your business move carefully, which is of course why the Tito's remains as the last item in the freezer! It's cocktail hour on Cocktail Friday at Elarbee Media! After a week of business travel to one of our favorite destinations, Texas, it is well past time to mix up a batch of something. This awesome "balloon" cocktail server holds about 4 large cocktails, that can be poured in style out of this golden beauty. Our sincere thanks for the hospitality earlier this week, we will raise our first glass to Texas! It’s Cocktail Friday at Elarbee Media. 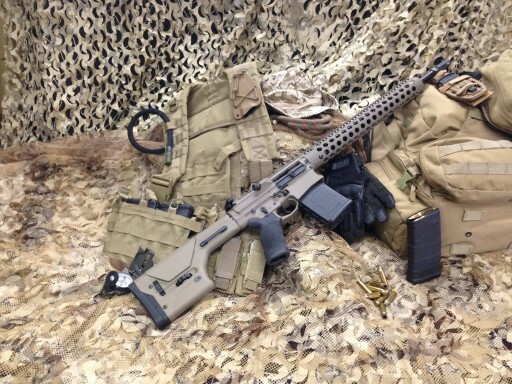 Today we have a full day photo shoot for our client Black Creek Precision. 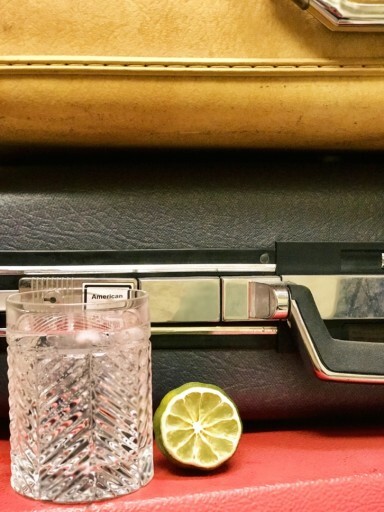 Here is a fitting cocktail recipe for today “The Smoking Gun”. We’ll save this for later to be safe. It is Cocktail Friday at Elarbee Media. 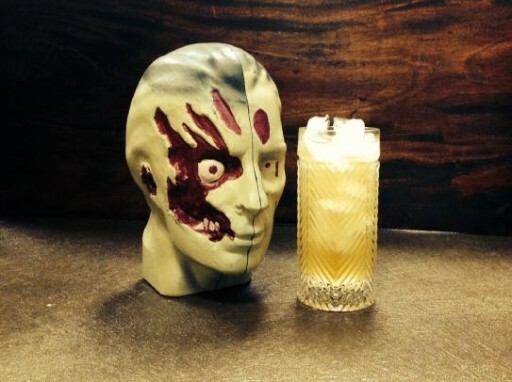 We are excited to share a Halloween inspired cocktail with you that also allows us to celebrate our new relationship with Tat3dUSA, manufacturer of tactical training equipment - including zombie heads. The Zombie 1 oz Unsweetened Pineapple Juice, Juice of 1 Lime Juice of 1 Orange 1 tsp powdered sugar ½ oz. 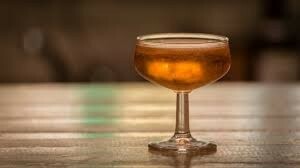 Apricot Brandy 2 ½ oz. Light Rum 1 oz Jamaican Rum Passion Fruit Syrup ½ oz of 151-proof Rum That is one sweet and loaded cocktail, but we are celebrating. Watch for more as we launch their new US website and ad materials in the coming weeks. It’s Cocktail Friday at Elarbee Media. We are sad to have to put away our Oktoberfest steins and our dirndls for another year. To our German clients colleagues and friends, we want to leave you with one final Prost! before we close it out. It’s Cocktail Friday at Elarbee Media. 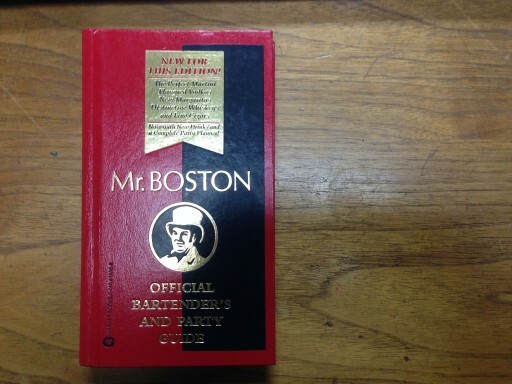 Today we would like to pay tribute to an iconic “friend”, Mr. Boston. This classic red and black book reminds us that no matter how knowledgeable and worldly you are, sometimes you simply have to refer to an expert. Your cocktails will taste better that way.For businesses, trying to keep all-things in house can backfire. Hire in experts that you use when needed and don’t have to add to your payroll. Get your outside expert to pay for the cocktails. Between that and the business advantage you can’t lose! It’s Cocktail Friday at Elarbee Media! 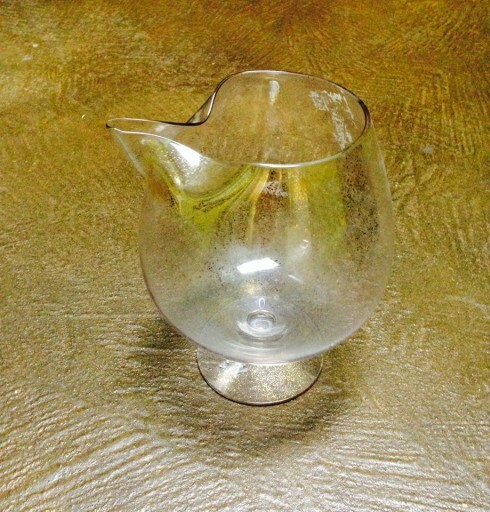 This week’s vintage cocktail item is a set of rooster embossed cocktail glasses. They would only hold about 4 ounces of anything, but are quite stylish.When I see the size of older items, cocktail items or even vintage clothes, I wonder whether or not our concept of “bigger is better” has backfired. Is selling large volumes at a discount necessarily better than selling quality at a premium price? Have we gone too far down the road of volume discounting to double back and change?Either way, these rooster glasses will come in handy this afternoon -- even if I have to fill them frequently. Whatever your opinion may be, I can tell you Tito’s is superb, and that drinking it out of these cute little matching glasses makes it taste even better. Cheers! It's Cocktail Friday again at Elarbee Media. 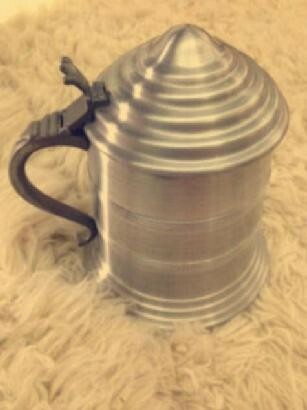 This kitschy ice bucket looks like an over-sized beer stein. It would probably hold about a gallon of beer if you wanted to drink from it! Likely, the beer would get too warm before I could finish. Being over-sized, it begs the question "is bigger always better in business?" Does buying media with scale translate to success, or are refined buys with more precise targeting the way to go? The only way to know is to test. Here is what came out of the mix this week: "Mother is always right." Although it is an old adage, I recently had the great experience of finding it to be true.At cocktail hour I heard "Kelly Danielle, you look tired. You need to find a babysitter to let you take a few hours off so you can get yourself together." (That is the iron fist; Mom hasn't bought the kid glove yet- she is a New Yorker). It got me thinking about a creative campaign I've been working on for a caregiver client that has babysitters with background checks at the ready. If I look tired, so do all the other working mothers out there. I wrote out a new ad concept around Mom getting a few hours off to "Be Me. Not Mom. Just Me." This concept has been proposed for testing starting in the fall. Cocktail hour in my family home has always been a loosely qualified focus group. With an international salesman, an artist, the proverbial doctor and lawyer, blue collar worker, earth-mother, a gaggle of children and an advertising hack gathered around with the wine flowing, the truth is spoken rather quickly.We have ages in mix from 5 to 75 (a broad spectrum) and very different opinions from each age range. I often bring up work challenges and talk through them; their reactions and thoughts shock even me. Some of the surprising advertising insights that come out of these family focus groups will be the inspiration behind our new Monday blog posts. If they don't turn out to be insightful, I am sure they will be amusing. 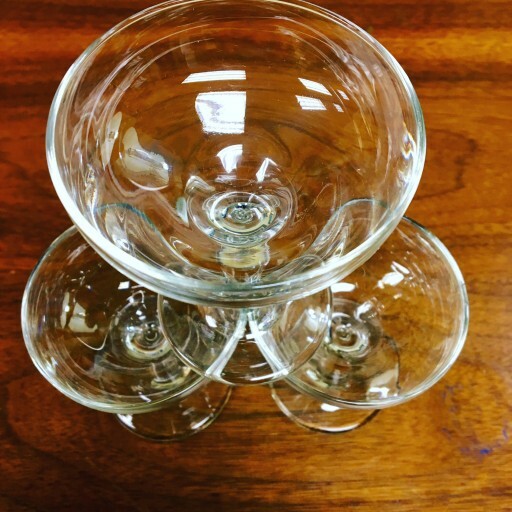 Sometimes small glasses are great – especially when refilled frequently! That's right, it is Cocktail Friday here again at Elarbee Media. 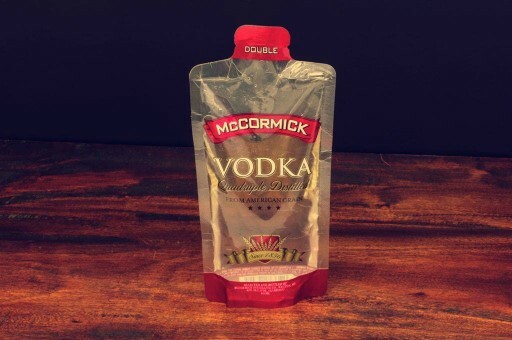 These mini cocktail glasses provide the perfect parallel for test budgets. When testing new media, go for small, but frequent test investments.Media tests that are “refilled frequently” can ultimately lead to a new core media strategy. Set limits, keep them “mini,” but keep testing. You will be surprised at how potent the results can be. It's Cocktail Friday here at Elarbee Media. This simple sterling handled corkscrew is a very functional item, and well used despite the fact that it does not have all of the bells and whistles of some of its modern cousins. Bells and whistles are nice, but at the end of the day, you just need to pull the cork out of the bottle. What is the business parallel to getting the “cork out of the bottle?" Go back to basics. Buy what works. Reject the rest. 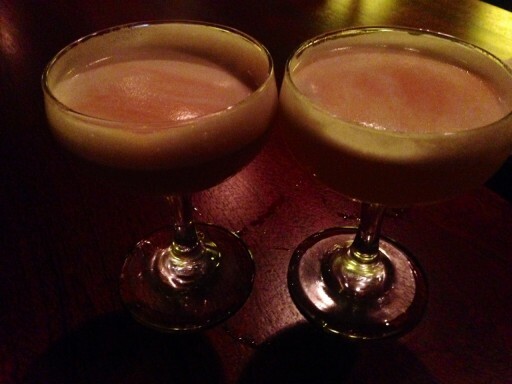 It's ‪#‎CocktailFriday‬! Seasonal swings can make it feel like your whole business is “on the rocks." Sometimes taking a deep breath, along with a sip of your favorite cocktail can help give you the perspective you need to move forward without fear.To avoid feeling as though you're "on the rocks," it is imperative to look at how business was this time last year. Then, compare results based on the time of year and note swings that typically occur so that you can anticipate these swings rather than react when they happen. Happy Friday! Do you swizzle?Out of the many collections we house here at Elarbee Media, there is one that shows an exceptional amount of whimsy: our swizzle stick collection.Because swizzle sticks are for stirring, if they were designed simply for function, they would be very boring. This week’s office cocktail item(s) are our glass vegetables, the perfect swizzle sticks for the final stir of a Bloody Mary or Bloody Caesar prior to presentation. Test your skills by mixing the following drink – we have lovingly named the ROI.ROI Recipe:Start with premium vodka (That you have of course negotiated down to the price of standard well brand)Fill a high ball glass with crushed icePour 3 fingers of Vodka (Double jigger over ice- or three singles if neat)Add the juice of 1 whole lemonAdd 1 tablespoon of honeyAdd 2 dashes of bittersTop with a splash of tonicSwizzle and serveWant to weigh in on measuring versus free-pour, or on measuring media? We’d love to hear your comments. 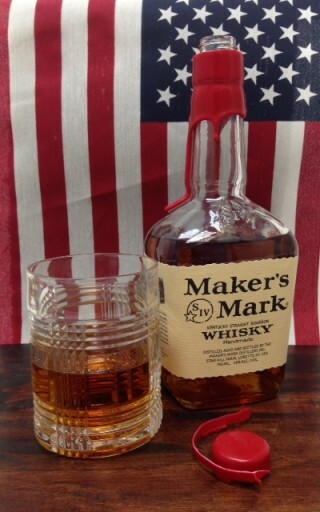 It’s ‪#‎CocktailFriday‬! At Elarbee Media, we aim to keep your expectations high and your CPMs low. 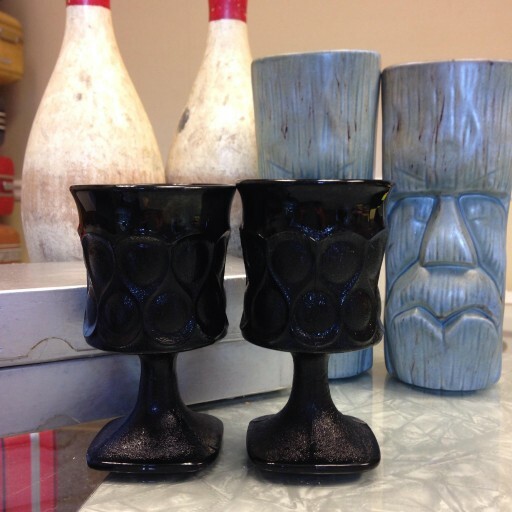 Check out these 1960s highball glasses from our office barwear collection.Highball is the name for a family of mixed drinks that are composed of an alcoholic base spirit and a larger proportion of a non-alcoholic mixer. Well-known examples of highballs include Bourbon and Water, Cuba Libre, Scotch and Soda, Seven and Seven, the Moscow Mule, and gin and tonic.Get your creative juices flowing this on this gorgeous Friday afternoon with a classic cocktail! What is your favorite drink served in a highball glass? It's ‪‎Cocktail Friday‬ at Elarbee Media! 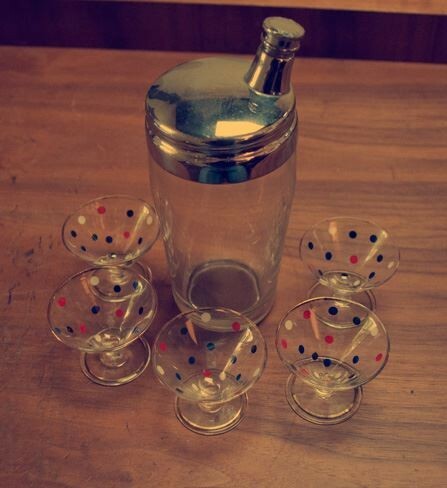 Each week we will be featuring a unique vintage cocktail item from our collection at the office. 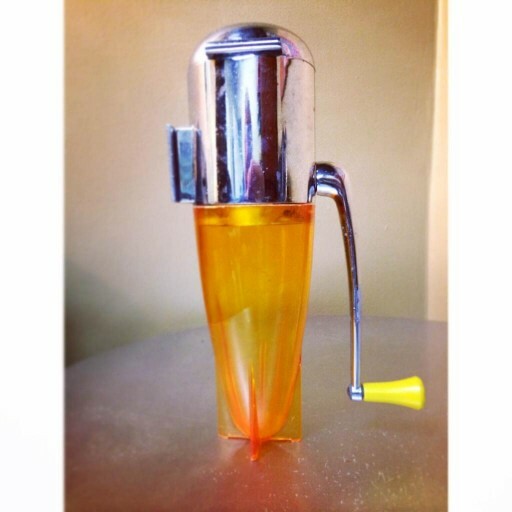 Check out our vintage ice crusher from the 1950s! Here in the south, we love a good mint julep served over crushed ice. What is your favorite cocktail served over crushed ice?